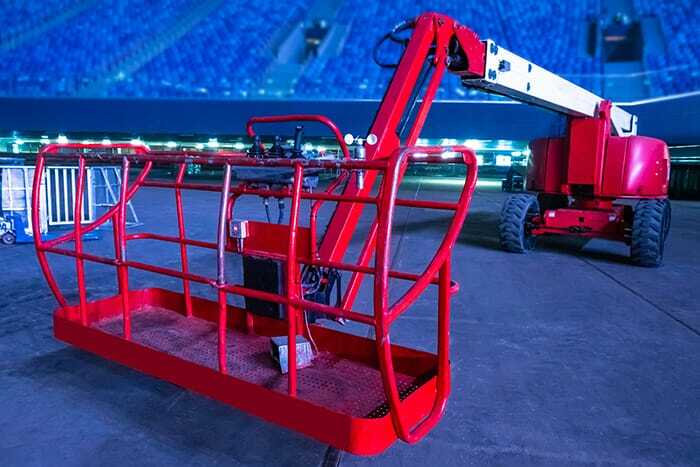 IRVINE, Calif., March 7, 2019 – Event organizers needing aerial equipment can now benefit from an innovative online rental network that provides big equipment to all states across the entire country – from one single site. It means project managers and event organizers coordinating multiple events in different geographical areas only need to make one call and deal with one supplier for all their jobs. The new single-source platform from BigRentz gives access to more than 2,000 rental companies in 8,000 locations, making it the nation’s largest online rental network. It makes life much easier for the logistics team, because it’s like outsourcing your entire rental process, according to BigRentz VP of Sales Brian Weaver. The BigRentz crowd sourcing platform has seen “touchless” rentals grow to 40 percent, which means the whole booking process is done online from either a mobile, desktop or tablet. Users simply type in the piece of equipment required and the date and place, and BigRentz technology does the rest. All suppliers in the network have been vetted and costs have already been pre-negotiated at market rates so the customer simply checks out and then the rest is handled by BigRentz. If there are any questions, rental coordinators are available for your phone call or email.